In case you need some mid-week motivation, or if you just want an entertaining trip down memory lane, watch this four and a half minute montage from Quickblade, which features some of the biggest names and events in stand up paddling accompanied by a couple of iconic speeches from the wider sporting world. 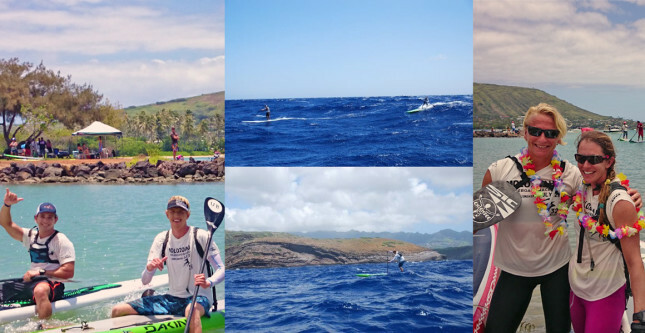 Today saw the release of the 2015 Molokai 2 Oahu Paddleboard World Championships official start list. And it’s looking mighty stacked. We’ve just wrapped up the 2014 Battle of the Paddle here at Salt Creek, California. What a weekend… Action. Drama. Heroics. But most all: Carnage. 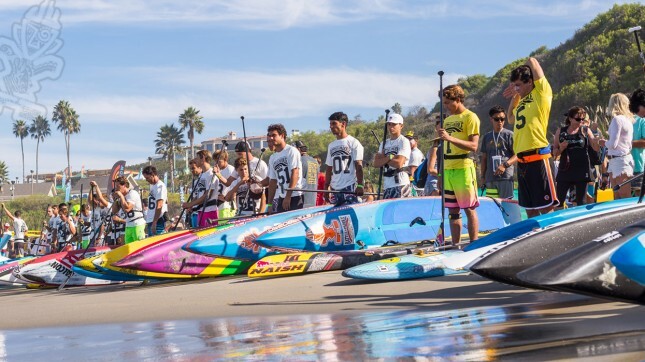 Yesterday’s Elite Race saw some of the most exciting stand up paddle racing ever, with a solid south swell rolling into the BOP’s new home of Salt Creek and creating some very memorable moments. Today’s Distance Race was a little mellower, however the performances were just as strong. After a tight contest early – where the top five favourites of Connor, Scott, Kai, Dave and Travis were all within shouting distance – it became a two-man duel in the last five or six miles before Connor eventually broke free to win in record time. Coming home strong was Scott Gamble for 3rd, with Kai Lenny relinquishing an early lead to settle for 4th. 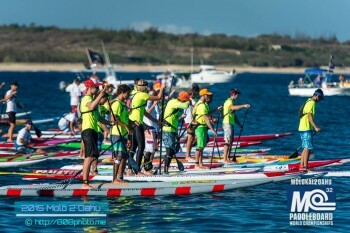 Travis Baptiste put in an absolutely extraordinary effort to finish 5th overall on his 14 footer, just seconds behind Kai and half a minute in front of Dave Kalama. Chase Kosterlitz has defended his crown at a race in Florida for the umpteenth time, taking out Saturday’s Florida Cup race in St. Pete Beach. Chase was quickest around the 10 mile Tampa Bay course, finishing three minutes clear of the very talented Ryan Helm. It was an impressive performance from Chase, who has showed similar early season form at last month’s Carolina Cup. The big guy from Florida (who recently moved to San Diego) hasn’t lost in his home state since 2011. Not a bad track record. So while he’s yet to crack the podium at his non-preferred BOP Elite Race, if there’s ever a hard, grinding, long distance race, you’d be a brave punter to bet against Chase finishing near the front of the pack. 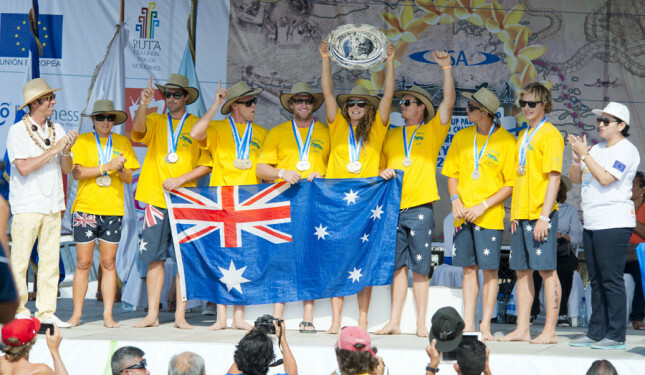 The 2014 ISA World StandUp Paddle and Paddleboard Championship has officially come to a close. Congratulations to Team Australia for making it three in a row, though everybody who competed this week deserves a round of applause. Massive event and a lot of fun here in Nicaragua. As exciting as it was to watch the powerhouse nations put on a show, it was just as good to witness how many emerging paddleboard nations there are. Over 200 athletes from 27 nations came to Nicaragua, and as ISA President Fernando Aguerre point out after the event, this is quickly becoming the ISA’s biggest event in terms of countries competing. It’s a very good sign for the future of the sport. Woah… What a race. That was 13 miles of pain. I’m hurting. Congrats to Danny Ching for muscling his way through this one and to Annabel Anderson for coming out on top despite a huge push from Jenny and Lina. Danny has now won this event three years in a row while Annabel has gone back to back in her first two attempts. 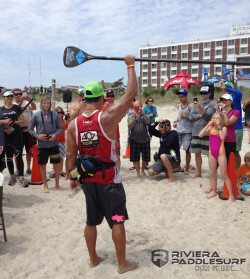 It seems like 2013 has been the Year of Debate in the Stand Up Paddling world. From drafting to board classes to prize money to world championships and pretty much every little topic in between, informal talks, public discussion and downright heated arguments have become the norm. SUP racing is at a crossroads; it’s gone from a small, novelty, niche sport into something bordering on the mainstream, with close to a thousand races around the world each year and a new breed of paddlers enjoying full-time careers on the water. And it’s this explosive growth that is fueling the debate, as different organisations and differing opinions jockey for control and attention, with influence on the future of the sport a reward. How Fast Was Jenny Kalmbach Last Weekend? 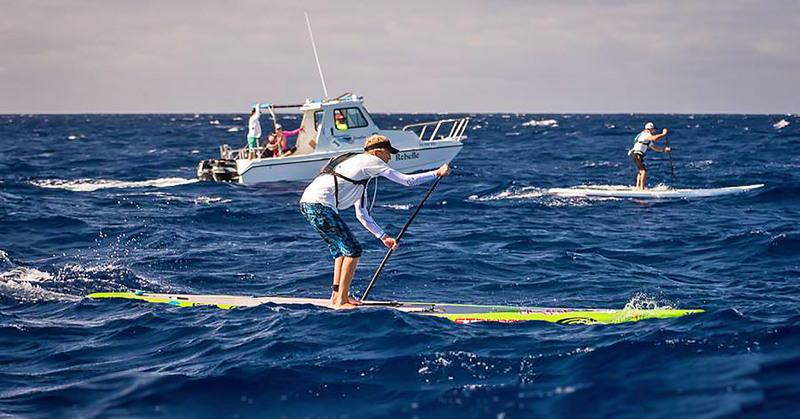 If you caught our coverage of the 2012 Hennessey’s World SUP Champs in Cabo, you would have noticed that Jenny Kalmbach put in a massive performance to take out the Distance Race title. But not only did Jenny dominate the women’s division (she was over five minutes ahead of Candice Appleby, who you might have heard of), she also did very well against the men. 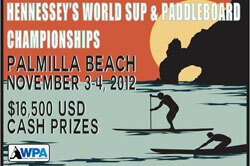 The 2012 Hennessey’s World SUP Championships are under way in Cabo, Mexico right now. Several of the world’s finest are in town to duke it out for the $16.5k in cash prizes and title of WPA World Champ. Saturday was the 11 mile P2P (Punta Gorda to Palmilla) Distance Race, while Sunday sees the 4 mile Elite race. 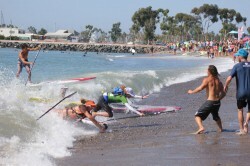 Check out this awesome sequence of Jenny Kalmbach and Brandi Baksic at the Battle of the Paddle last weekend. Here are the full results from the Tahoe Fall Classic, the 22 mile SUP race that was held on Lake Tahoe last weekend. This was the third and final Tahoe Cup race for 2012 (after the Donner Lake and Jam From The Dam races). 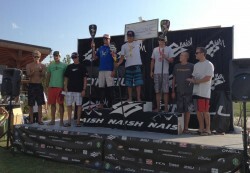 The 2012 Naish Columbia Gorge Paddle Challenge has just wrapped up at Hood River, Oregon, in spectacular fashion. 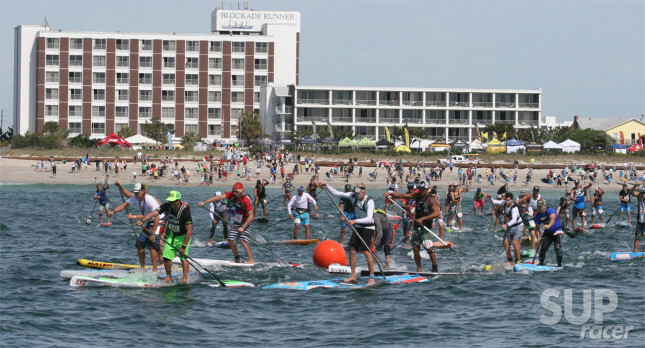 The stacked field of paddlers and awesome race conditions have helped this go down as one of the best SUP racing events of the year. 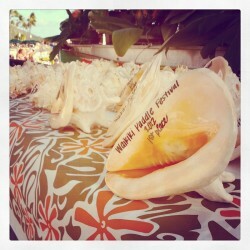 The Quiksilver Waterman Collection’s Waikiki Paddle Festival has just wrapped up. It was an epic event with awesome paddle racing all weekend. The big winners from the weekend were C4’s Travis Grant (1st Survivor/3rd Long Distance) and Gillian Gibree (1st Survivor/1st Waterwoman Challenge).